Krill exist in all ocean around the globe. It representing the largest biomass on the Earth. Krill exhibit a shrimp-like appearance.Krill live in huge swarms in the ocean and because they feed on marine algae that produce omega-3 fatty acids- eicosapentaenoic acid (EPA) and docosahecaenoic acid (DHA) - they will accumulate these fatty acids in their body. Both krill oil and fish oil contain EPA and DHA, however they deliver these fats in different ways. In fish oil, omega-3 fats are attached to triglycerides, that can be burned for energy or stored as fuel reserve in fat cells. Or else in krill oil, omega-3 are attached to phospholipids that make up the membrane of each cell in our bodies. The membrane acts as the walls of the house to maintain the integrity of the cell. It controls what goes in and out and communication between cells. When cell membranes function well, nutrients are more easily absorbed, used to replace and repair tissue and to generate energy. Human clinical studies have shown that EPA and DHA from krill oils s more effectively incorporated in the human cells and tissues compared to fish oil. This means that same amount of krill will be absorbed into out body compare to fish oil. Astaxanthin , an antioxidant carotenoid that gives krill oil its deep red colour. It is a very potent antioxidant with anti-inflammatory properties. Nowadays, getting more and more women are having their babies later in their life. This is because some wanted to enjoy their personal and have their freedom longer , some did not meet the Mr right when they were younger and some choose to have their careers and get financial freedom first. However, it is important to remember, the chances of woman to get pregnant continue ti fall over time. the risks of getting pregnant also increase over time. Fertility expert advise women to start their family before the age of 35. It is because fertility rate falls over time. Before 35, a couple will normally take six months to conceive naturally but after 35, they can take up to 1-2 years or even longer. As women age, sometimes an egg is never release during their monthly cycle. Egg quality and quantity also declines when a woman is in her 30s. This will contributing into the lower success rate in conception. Perched on the rooftop of Life Centre, the newly launched Barbecue Garden is a leafy outdoor oasis where customers can feast on gloriously grilled meat & seafood in the shadow of the magnificient of Kuala Lumpur Tower. The alfresco area is among the city's most unique dining venues, ideal for chilling out on breezy nights especially with your love one. The restaurant provide an unique mixture of International and local barbecue recipes. 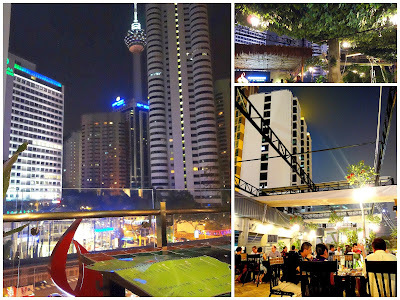 The restaurant is designed to offer a natural environment filled with the delicious smells of barbecue while being in the heart of Kuala Lumpur. 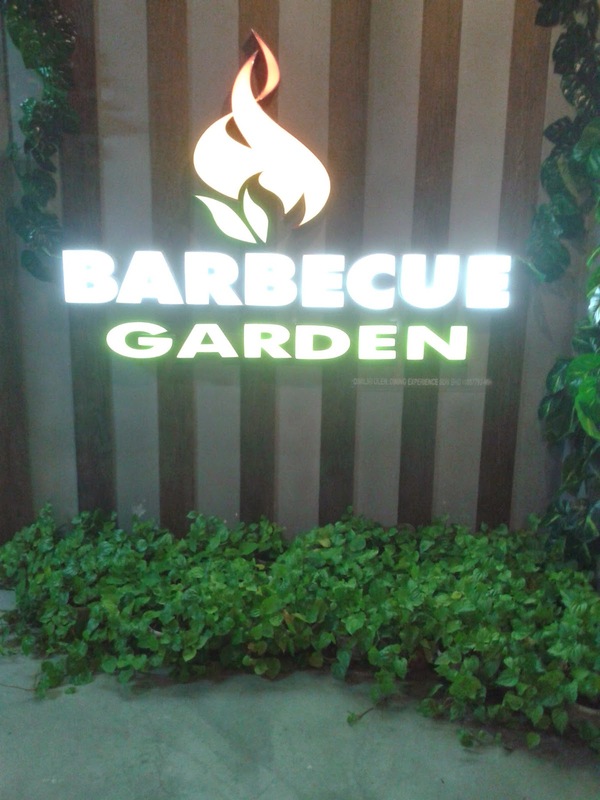 At Barbecue Garden Malaysia, their menu is specially designed to tickles and excites everyone’s tastebuds. The science of a perfect barbecue comes from the combination of flavours and the skills of grilling and roasting. They serve a unique mixture of international and local barbecue recipes. Their menu offers a wide range (more than a 100 items) of local and imported meats marinated with our special barbecue sauces. 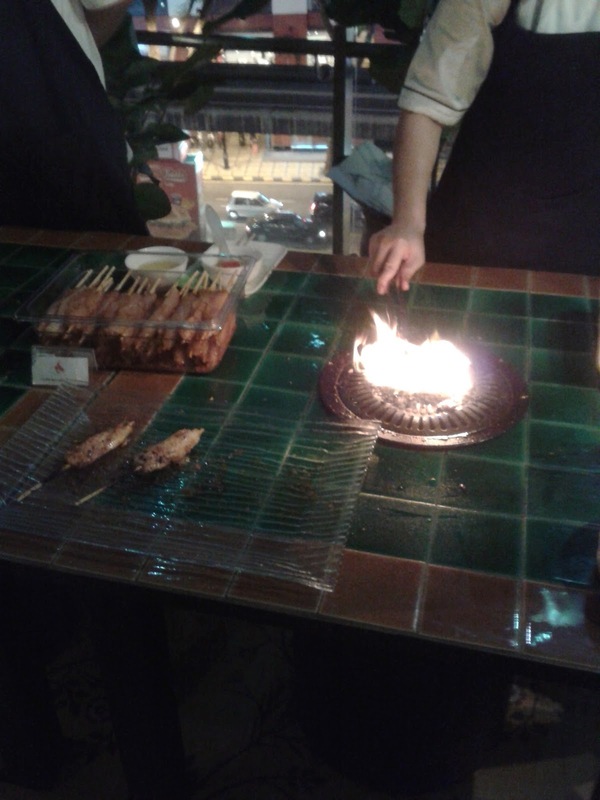 We can choose from appetizer to their barbecue garden world tour! ATMOSPHERE magnificient view of kuala lumpur with leafy outdoor oasis feel. Opening hours :11.00am - 2.00pm, 5.00pm - Midnight. The number of allergy sufferer has continued to increase in the industrialized for more than 50 years. Common types of allergy included allergic rhinitis, sinusitis, skin allergies and food allergies. Astragalus is proven natural product for allergic reactions such as seasonal and perennial allergic rhinitis and skin allergy conditions. Astragalus extract with targeted composition which relieves allergy symptoms by balancing immune system response to common allergens. It can be used both as prophylactic and after the onset of the allergy to relieve the symptoms. Astragalus root has been used in traditional Chinese medicine for centuries as a restorative tonic; it is considered a sweet, warming herb with effects on many organs. It is used either alone or with other herbs to help with aging, improve energy, and stimulate the immune system during conditions such as the common cold, blood disorders, cancer and HIV/AIDS. It is also used as an adaptogen, which is meant to increase general resistance to stress and disease, and normalize disturbances in your body’s ability to balance itself. The root is sold as a supplement in tablets of different dosages. There's a special chemical in astragalus that actually slows down the aging process right where it happens, inside of our cells, where the blueprint of our cells resides. Recent research has shown that this special chemical derived from astragalus can "turn on" an enzyme called telomerase (hTERT). Telomerase acts to maintain or lengthen telomeres, which extend the lifespan of your DNA. If you imagine DNA as a shoelace, telomeres are the plastic aglets at each end. It serves as a protector for your DNA because it keeps it from fraying or damaging. As you age, your telomeres shorten due to wear and tear, which gives your cells an expiration date. However, telomerase helps to preserve telomeres by making them longer. Telemerase is usually "off" in adult cells, except in immune cells, in egg and sperm cells, and in malignant cells, like those found in cancer. The length of your telomeres is important: Researchers have discovered correlations between telomere length and susceptibility to certain aging-related diseases, like cardiovascular diseases (heart attacks, atherosclerosis, and strokes), diabetes, and cancer. Because of its long history of traditional and clinical use, astragalus is considered to be safe. However, it may increase the risk of bleeding, so caution is advised to those with bleeding disorders or those taking drugs that may increase the risk of bleeding. Also avoid using astragalus while pregnant or breastfeeding, due to harmful effects seen in preliminary studies. Take 200 mg, twice a day. Take it once in the morning, and once in the evening, with or without food.